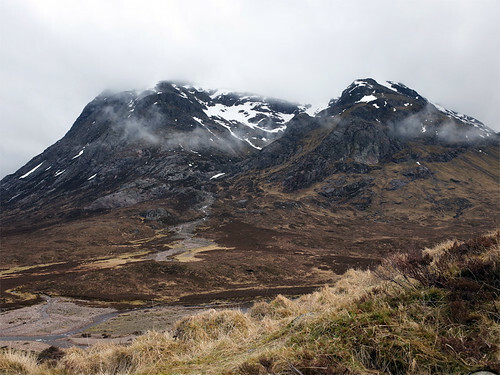 Last weekend I doubled my munro count to 8. After a lot of frustration with injury in 2013, 2014 is shaping into a much better year. The weekend saw me bag my first solo munros (Ben Vane and Stob Coire Raineach) but the highlight was definitely Buachaille Etive Mor, completed last Saturday with Max Hunter. Conditions on the day were grey but thankfully not too wet. A really enjoyable route, particularly towards the southern end of the ridge. I've written more about the four munros I enjoyed last weekend on my blog, together with some pictures. One theme I explore is some of the obsessive compulsive traits I observe in myself and wonder if these are more common amongst munro baggers! Good report! I hope your injury is ok! Thanks for posting!